If you are on the hunt for a really fun gift to give someone you have got to check out Candy Japan. I recently received my first month's subscription package in the mail. 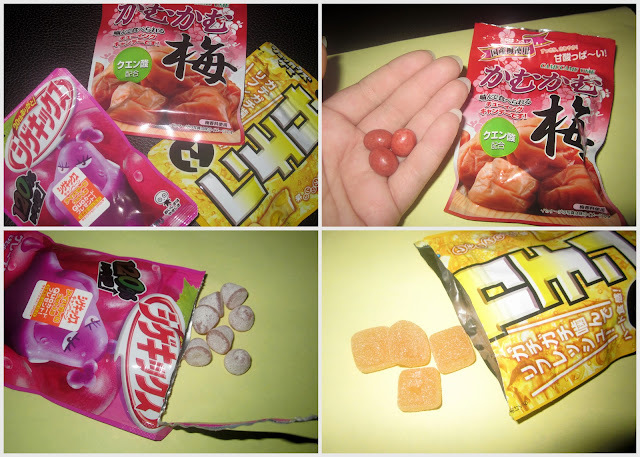 These are candies that are not found in the US, or at least not easily. The fee is low at just under $24 for the month. You get two shipments to your home per month. You can subscribe with Paypal or a credit card. The candies we received were very unique. I had no idea what the packaging said. I think that a simple translation inside of the package would have been nice to have. Candy Japan does have a YouTube channel where they sometimes will share about the month's candies. While it's fun to see what will be on its way I prefer to be surprised. I do wish that they would get a Facebook page and perhaps a Twitter page. I think any way that a brand can connect with its consumer the better. All of the candies I received were very fresh and safely sealed. I love this as a gift idea and highly recommend Candy Japan.